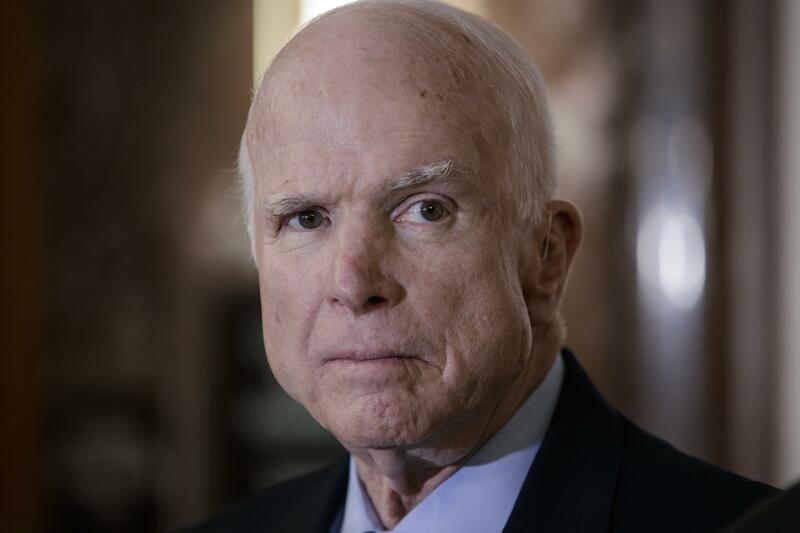 UPDATED: Fri., Aug. 24, 2018, 5:01 p.m.
WASHINGTON – Arizona Sen. John McCain has discontinued medical treatment for an aggressive form of brain cancer, his family said Friday, likely indicating the war hero, presidential nominee and longtime leading lawmaker is nearing the end of his life. In more than three decades in Congress, McCain became known as a political maverick willing to stick to his convictions rather than go along with party leaders – an independent streak that has drawn a mix of respect and ire. The feud between the two men has persisted even amid the decline in McCain’s health. While political leaders of both parties paid tribute to McCain and offered prayers Friday, Trump and the White House remained silent. Published: Aug. 24, 2018, 8:26 a.m. Updated: Aug. 24, 2018, 5:01 p.m.